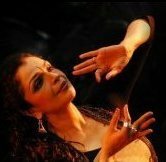 The dance-led cultural foundation seeks to explore, enrich and promote the performing and visual arts of India and to contemporize the rich tapestry of Indian creativity for modern audiences. Focussing on the revitalisation of ancient Tamil performance arts, the Trust has revived "Kaisiki Natakam" a 13th century ritual theatre tradition practised in just one temple in Tamilnadu. After a 50-year hiatus it had its first all-night revival performance in November 1999 at the renowned Vishnu shrine in Tirukurungudi, Tamilnadu. The renaissance work continues… Research and documentation simultaneously go on of "Arayer Sevai", an almost extinct 10th century elaborate mime and movement style practised by Tamil temple priests in only three South Indian Vishnu temples. Ratnam is incorporating the valuable research into her dance-art vocabulary. 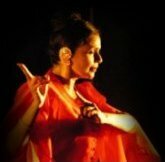 A global directory of Indian dance for Indian dance, the two best-selling editions of Narthaki (1992 & 1996) has expanded from 2000 into an invaluable e-service that is an essential networking tool for the international dance community. The site enjoys over 4 lakh hits each month.